Heat the oil in a large frying pan and cook the onion for 5 minutes. Add the beef, stirring with a wooden spoon to break up any lumps and cook for a further 5 minutes. Stir in the taco seasoning mix with 120ml water, then bring to a boil, turn down to a simmer and cook for 2 minutes, until thickened. Then stir in half the coriander. 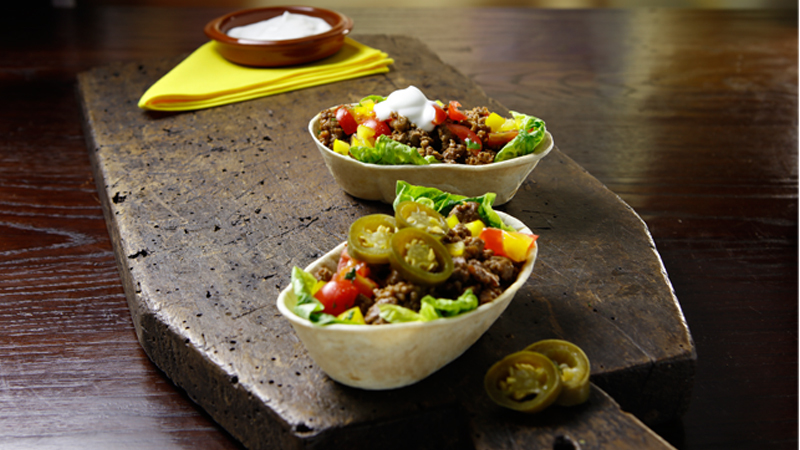 Heat the soft tortillas to pack instructions then divide the lettuce, mince, tomatoes, pepper and remaining coriander between them with the lettuce at the bottom, the mince on top and followed by the cherry tomatoes, pepper and coriander. 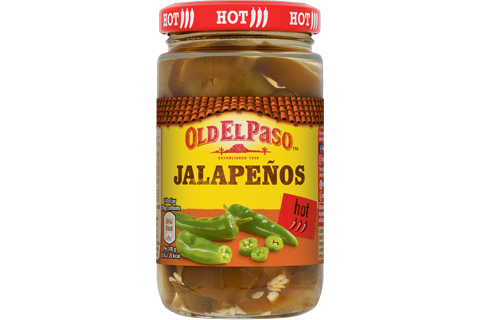 To make it hot garnish with jalapeños and to make it not spoon over some soured cream. Use chicken or turkey mince instead of the beef. Use Garlic & Paprika Seasoning Mix for Tacos if you prefer it mild.